Hard-running wingman Rory Atkins and first-round draft pick Jordan Gallucci are the latest two Crows to commit their future to the Club. Both players have signed two-year contract extensions which will keep them at West Lakes until at least the end of 2020. Atkins has become a consistent performer in Adelaide’s midfield group playing every game in the past two seasons. He took his game to another level in 2017 averaging 21 disposals a game highlighted by a 37-possession effort against Fremantle in Round 10. 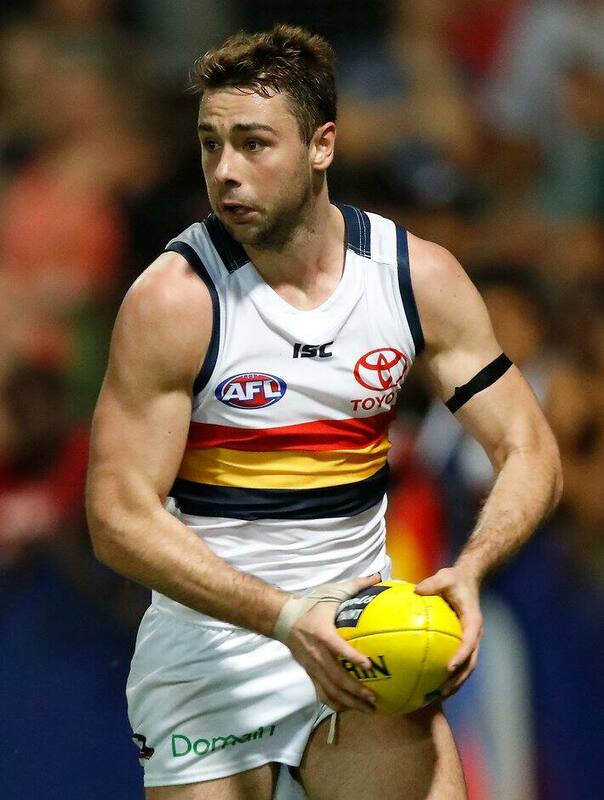 The 23-year-old said it was an easy decision for him to stay at the Crows. “Adelaide is a great place to live and play football so it’s great that I get to call it home for at least another two years,” Atkins said. “The Club gave me my chance to play AFL football and I’m really grateful for that and want to repay that faith. Gallucci was rewarded for strong SANFL form in his first year at the Club with an AFL debut in Round Nine against Brisbane. The 19-year-old played predominantly across half-forward and kicked a goal in an encouraging performance. Crows General Manager List Management and Strategy Justin Reid said Atkins and Gallucci were both important players for the Club’s future. “It’s fantastic to have two more promising young players commit themselves to the Club,” Reid said. “For Rory to play every game in the past two seasons is a credit to his hard work and preparation. “He’s become an integral part of our midfield group and we feel he still has plenty of upside.